China has identified these fields as most important for its “Made in China 2025” manufacturing plan. 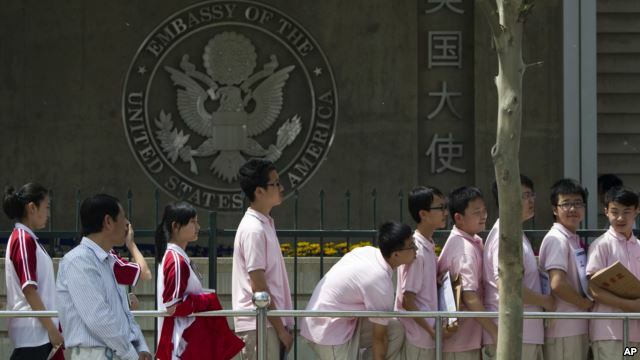 The report said some Chinese citizens seeking visas would also need special approval from several U.S. agencies. This would be the case if they work as researchers or supervisors for companies that require higher levels of security. Approvals are expected to take months for each visa application, the official said. The official who gave AP the information did not want to be identified. However, the State Department said that the visa application process itself will not change. The changes are expected as the Trump administration seeks to limit some of China’s methods related to trade. 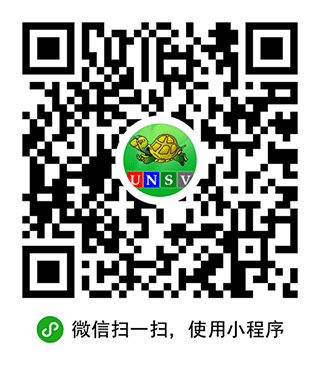 These include information related to important industries that China wants to strongly influence. On Tuesday, the Trump administration threatened to place a 25 percent tariff on $50 billion in Chinese goods. It said the import taxes are a reaction to China’s unfair trade methods especially those related to intellectual property. 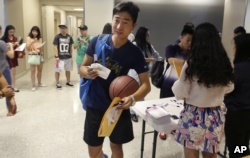 FILE - Weikang Nie, a graduate student in finance from China, walks into an orientation for Chinese students at the University of Texas-Dallas in Richardson, Texas, Aug. 22, 2015. ​The strategy document also said there could be restrictions on visas for foreign students studying science, technology, engineering and mathematics. 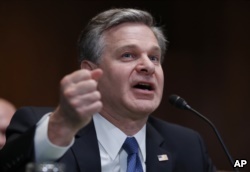 In February, Christopher Wray, the director of the Federal Bureau of Investigation, spoke to a Senate committee about the issue. He said American universities need to be more concerned about the risks of Chinese students and researchers trying to take advantage of the open research environment in the U.S.
FBI Director Christopher Wray testifies during a hearing of the Senate Subcommittee on Commerce, Justice, Science, and Related Agencies about the FY2019 budget, on Capitol Hill, May 16, 2018 in Washington. In April, the New York Times reported that the Defense Department was concerned about the problem. It said that almost 25 percent of all foreign efforts to find sensitive or classified information in 2014 was done at academic institutions. Some lawmakers have voiced their support for the policy changes. Republican Senator Marco Rubio of Florida sent a message on Twitter last week in support of the limits. However, several American universities and education organizations criticized the new policy. They said it would have an economic cost to the U.S.
'This new policy would be bad for institutions and bad for the nation,” said American Council of Education president Ted Mitchell in a statement. Mitchell added that such moves risk sending a message that the U.S. no longer welcomes intelligent students from around the world. And, he said, it could hurt the ability of programs to interest international students from other countries. Mitchell also said that international students help the U.S. economy. FILE - Ailu Xu, a graduate student from China, posts a sign directing Chinese students to a new student orientation meeting at the University of Texas at Dallas in Richardson, Texas, Aug. 22, 2015. Wojtek J. Chodzko-Zajko is head of the graduate college at the University of Illinois at Urbana-Champaign. He said that increased competition from universities outside the U.S. means it is important to be welcoming and supportive of foreign students. The Institute of International Education report found that more than one million international students are attending American universities. More than 30 percent of them come from China. A State Department spokesman Richard Buangan spoke to VOA about the changes to the student visa policy. He said that all visa requests are judged case-by-case, based on U.S. law. Buangan is Managing Director for International Media Engagement, and former spokesperson of the U.S. Embassy in Beijing. He added that national security is very important when considering visa applications. “We are constantly working to find ways to improve our screening process and to support legitimate travel and immigration to the United States while protecting U.S. citizens and national interests,” he said. Abigail Rubel of VOA Student Union and Stella Hsu of the VOA Mandarin Service contributed to this report. Phil Dierking adapted this story for VOA Learning English using additional media. Mario Ritter was the editor.